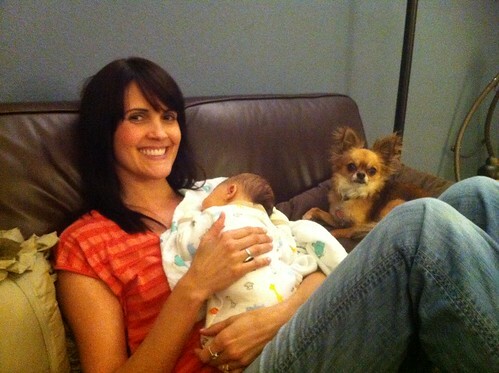 We are so excited Ryder is finally here! + Sleeping and hanging out in the bili-bed! He stayed on this bed for 4 days straight. It was so sad! We couldn't hold him or anything. He had to either be eating or lying on this bed to get his bilirubin levels down! He was supposed to lay on his back but he kept rolling to his side and hanging his arm over the bed closure. I even caught him all underneath this closure (whatever you call it...)! His head was completely underneath! Sooo glad he could breathe! 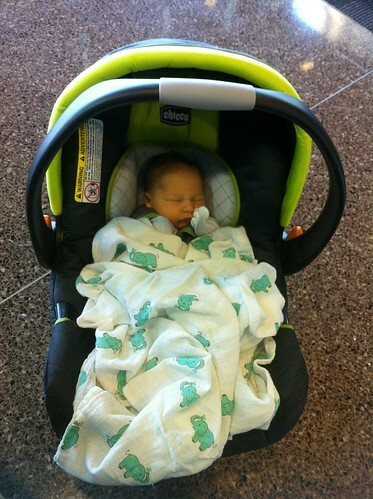 + Going to the hospital's labs to get his blood-work done to check his bilirubin levels. Poor guy had his heel pricked SO MANY times for this! He did so great! As long as he was sucking on his binky the nurses could fill their little vials full of his blood! By the way, don't take Percocet and a bunch of pills on an empty stomach. 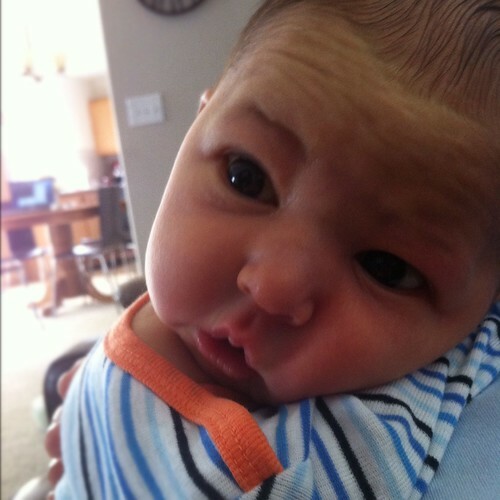 Once when we were at a lab getting his blood-work done, I felt so lightheaded, like I was going to pass out. Plus, I could barely walk because of the c-section! Sooo that wasn't good. I felt awful and I felt that way for most of the day! Definitely take those strong prescription drugs with food!!! I know I will from now on! + Being a hipster thanks to my brother, Zach and his glasses! 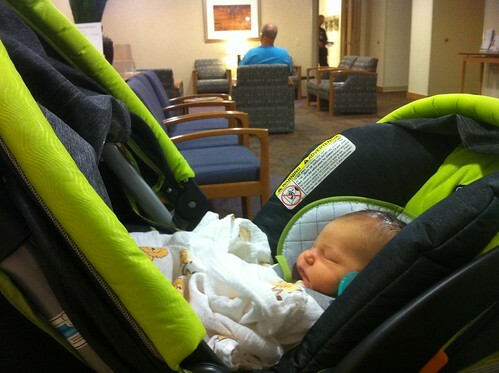 + Going to his 1st week check up! 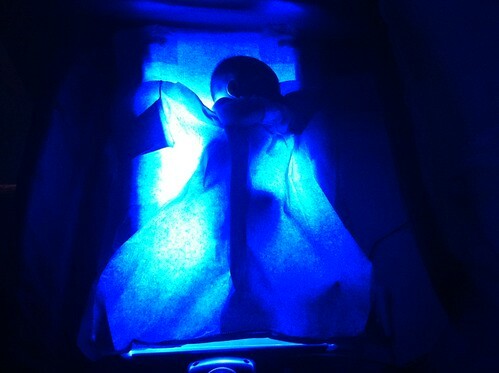 He was almost over his jaundice now and we were so excited! 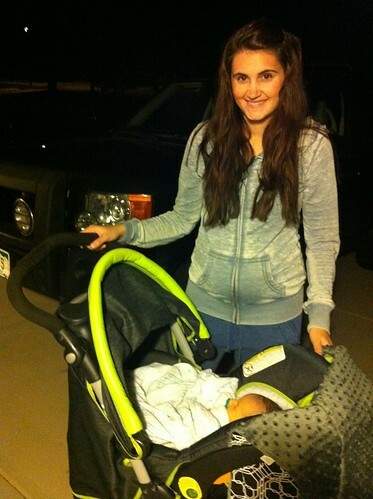 + Attempting to go on an evening walk with my mom and Kevin. After getting a c-section they want you to go on walks when you can to help recover so we tried to. 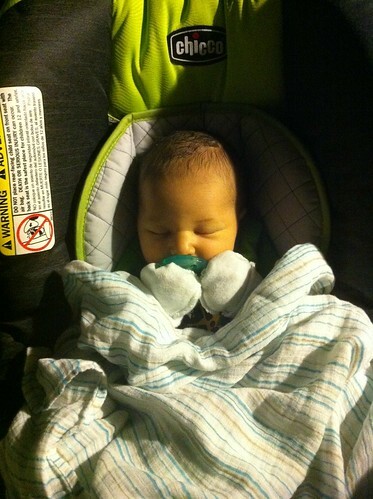 Ryder LOVES his binky as you can tell he is holding it in haha! By the way, it was such a short walk because it was so painful! 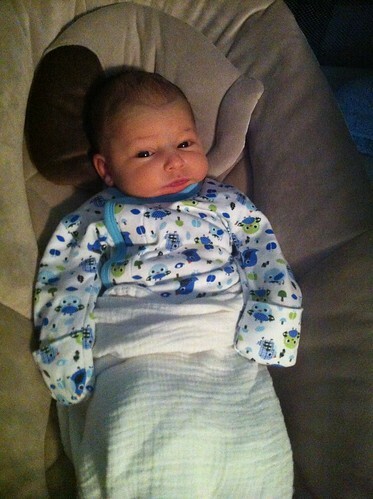 + Swinging in his swing! We were so excited when he got off the bili-bed because that meant we could put him in the swing, and of course, hold him :) We got this swing from my parents and Ryder is obsessed with it! It always calms him down! I'm SO glad that we have this. 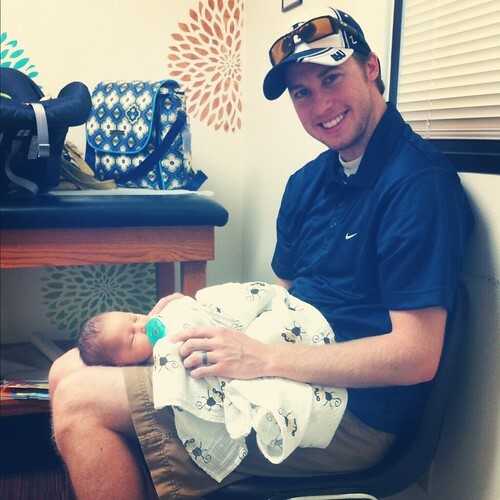 I highly recommend a swing (that swings both ways) to anyone having a baby! It is so great to put them in it while you get things done that you need to around the house. And yes, he is always losing socks! + More waiting at labs to get his blood-work done! + Hanging out with my mom and Katinka. My mom has been very helpful since having him! Katinka is very curious about him and always trying to lick his ears and head haha. She is definitely not getting as much attention anymore...poor girl! Oh, and a bunch of people told me prior to having him, don't let your dog get into one of his diapers because if they do they will always try to get to them! From these people telling me this, apparently dogs loves diapers! So far she has ripped up one diaper full of pee...thank goodness it wasn't a poopy one! I kind of don't think she will do it again but we will see! + Getting sponge baths and then being active! 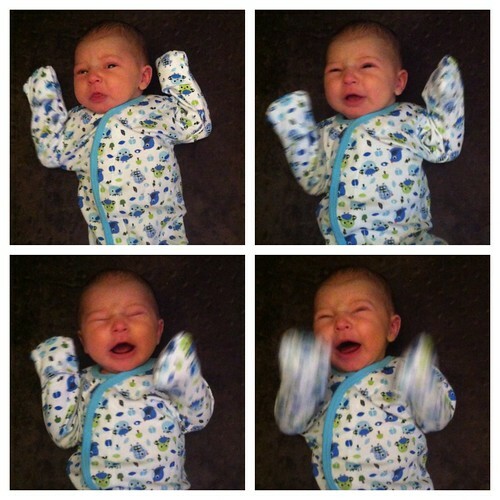 We had just given him a bath and he was going crazy here pumping his arms and legs hehe. 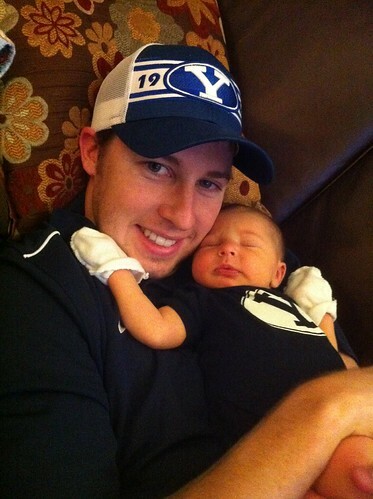 + "Watching" BYU Football games with Kevin! 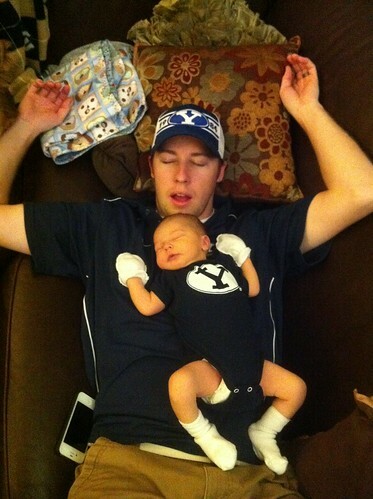 Yes, he was decked out in BYU gear! So cute. 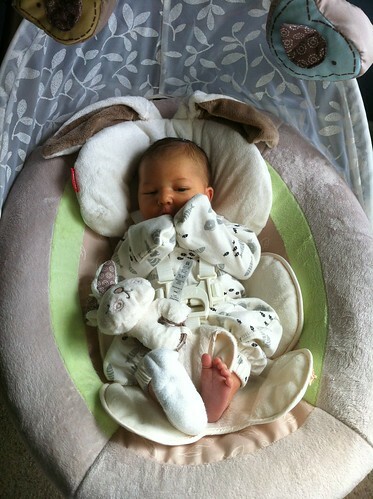 + Loving his pack n play bassinet which I am also obsessed with and I just love his gown here as well. It is made by Magnificent Baby. To open the gown up you just pull it apart since it is held together by magnets :) Best invention ever! I want more of these!!! + And last but not least, crying! 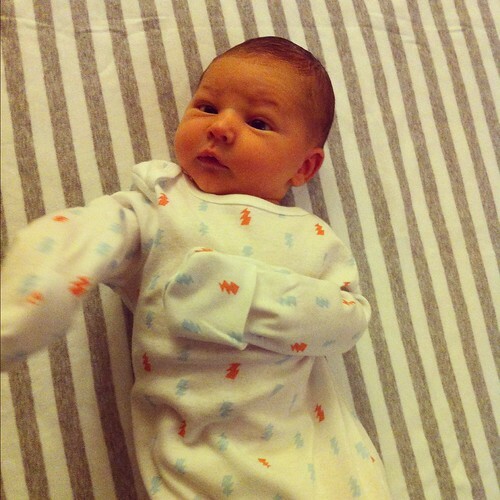 I was just changing his diaper here! We love being his parents! Anyways, many more blog posts to come soon so be ready! 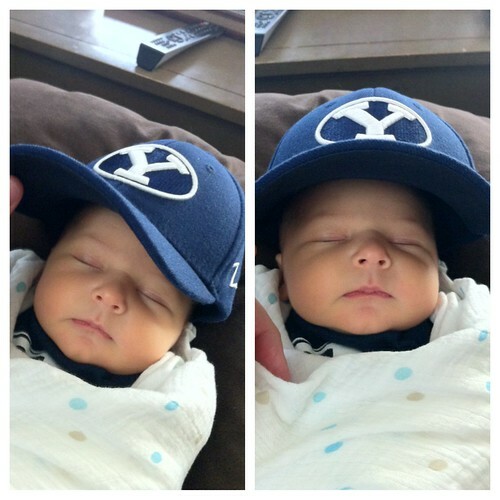 Congrats, Ryder is absolutely the most handsome little baby boy ever! 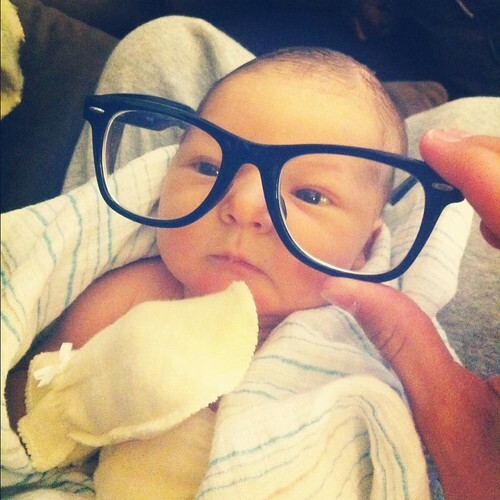 LOVE his Hipster photo!!! Oh, he is so cute that I can't even see straight! He is so so cute! So happy I stumbled upon your blog I love it!